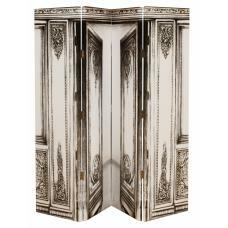 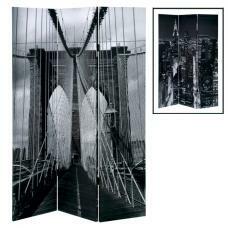 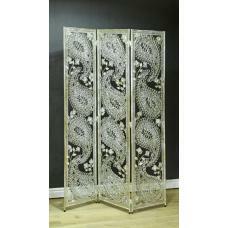 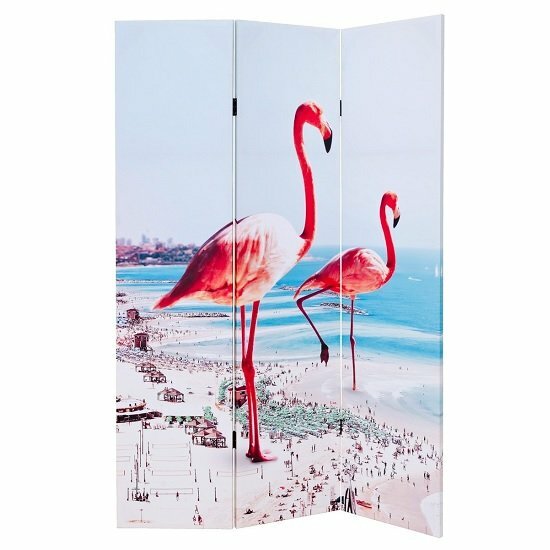 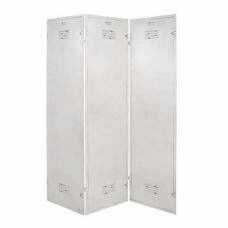 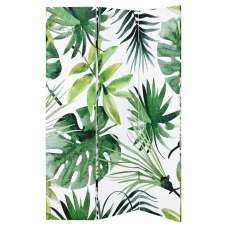 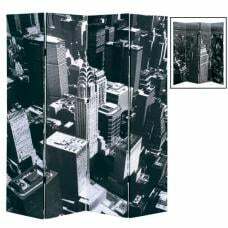 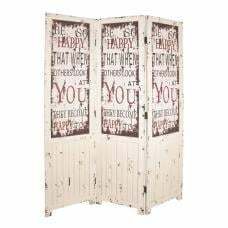 Elvis Giant Flamingos Double Sided Room Divider, perfect for adding style to any home decor. 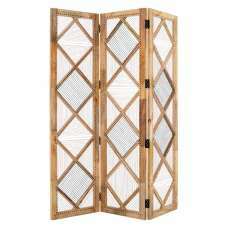 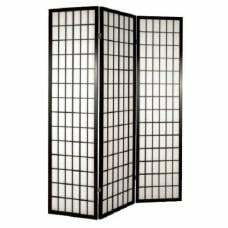 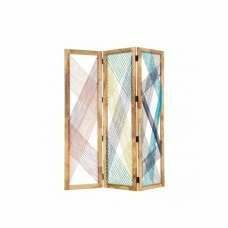 This designer room divider has a wooden frame with stretched canvas. 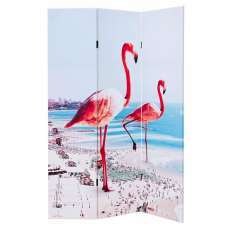 A truly fabulous beach being invaded by giant pink flamingos.